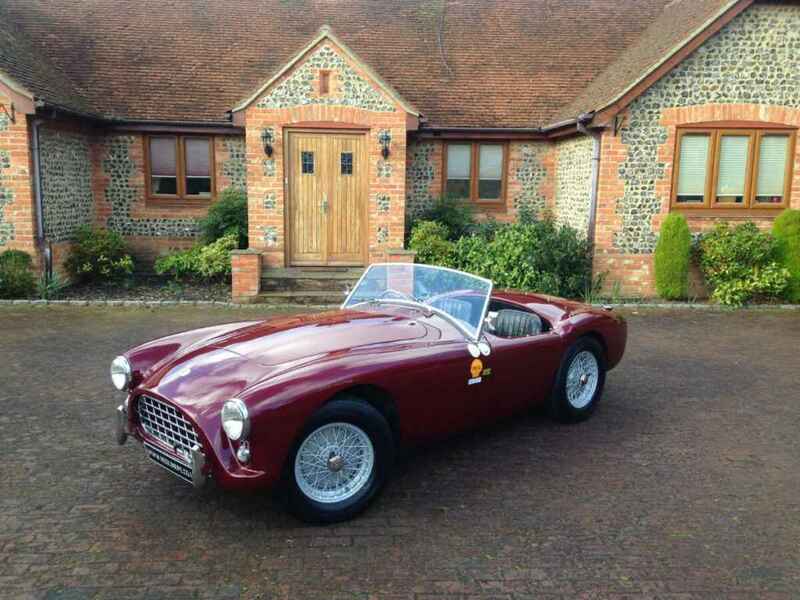 You may recognise this rare 1958 AC Ace. 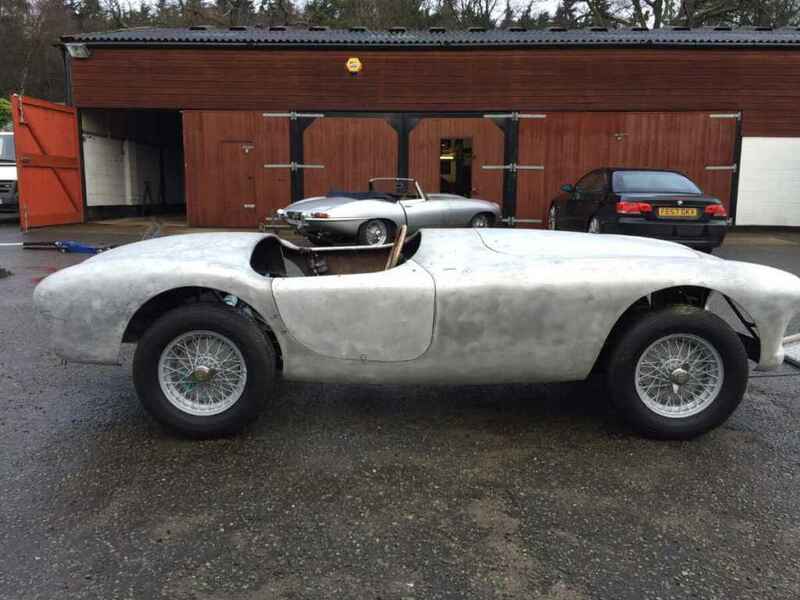 It was brought to us to sell by a long standing customer back in summer 2015 and was snapped up by new owner, Rick Holroyd, who had spent many visits to Le Mans Classic admiring the classic lines of the Ace. 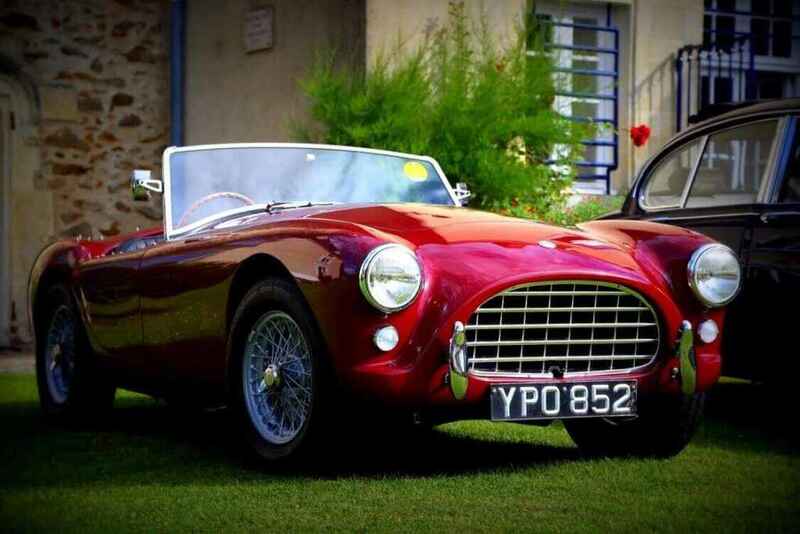 “I’d been to Le Mans classic three times with a group of friends who had a range of classic cars. While I’d take my own modern sports cars over I‘d become more and more envious that I didn’t have a classic of my own. Every visit I’d spot Ace’s and they really stood out to me for their stunning lines and classic open top style. The Ace was in good working order and originally Rick wasn’t considering work, but once collected he knew it was a car he would treasure and enjoy for many years, along with his three sons. 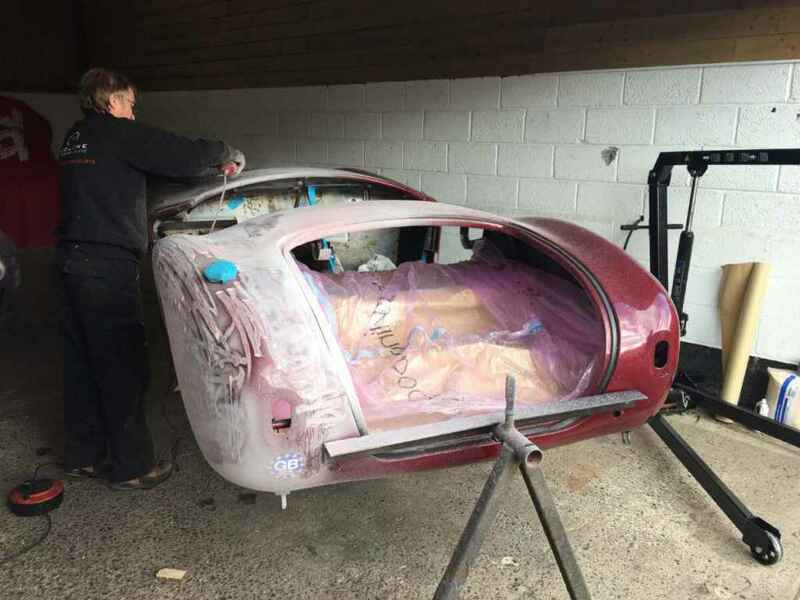 He decided he wanted to have the car completely restored before it started life in his family and got back in touch with Redline to discuss a complete overhaul of the car. 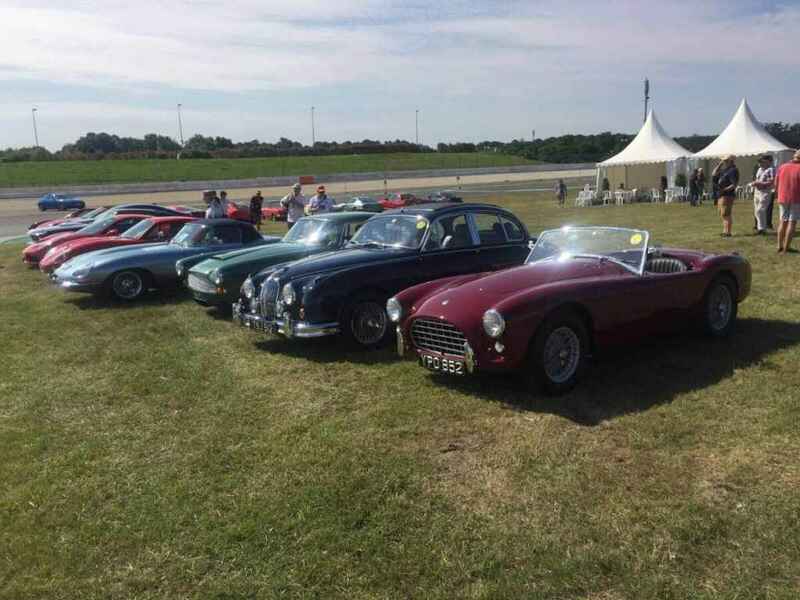 In its past the AC had successfully competed in many Club and Continental competitions including taking the AC Owners Club awards on several occasions in the 1980’s, FIVA papers, competed in three Continental tours by the AC Owners Club in 83, 88 and 1989, competed in TOUR AUTO in 1989 and 1999. 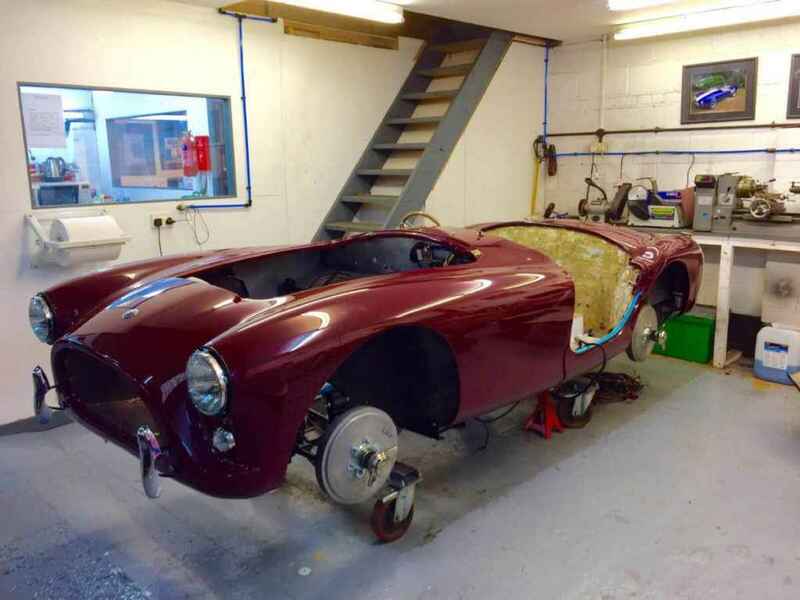 Still a head turner, it was one of the quickest Ace’s of its time, but it hadn’t been apart for a restoration or mechanical overhaul in some 50 years. 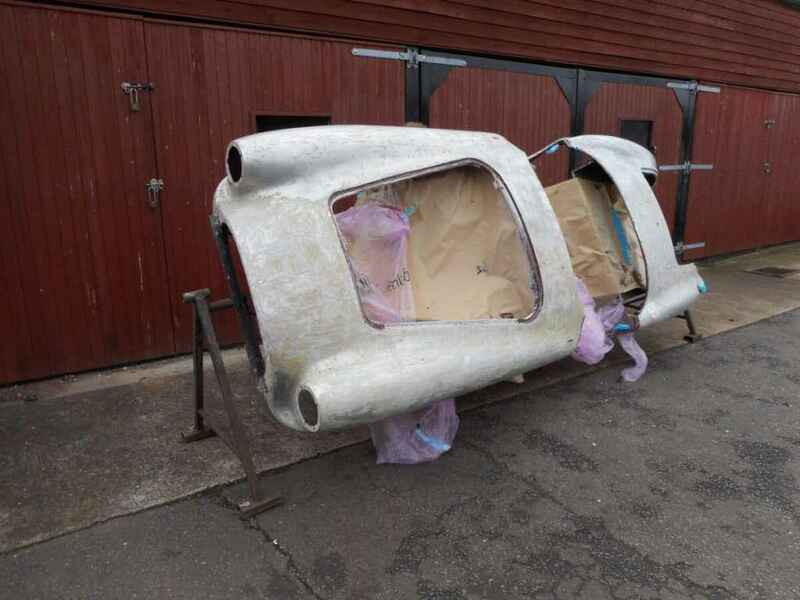 Few cars with this provenance have survived and the restoration team were delighted to return the car to its original performance and good looks with a full nuts to bolt restoration. 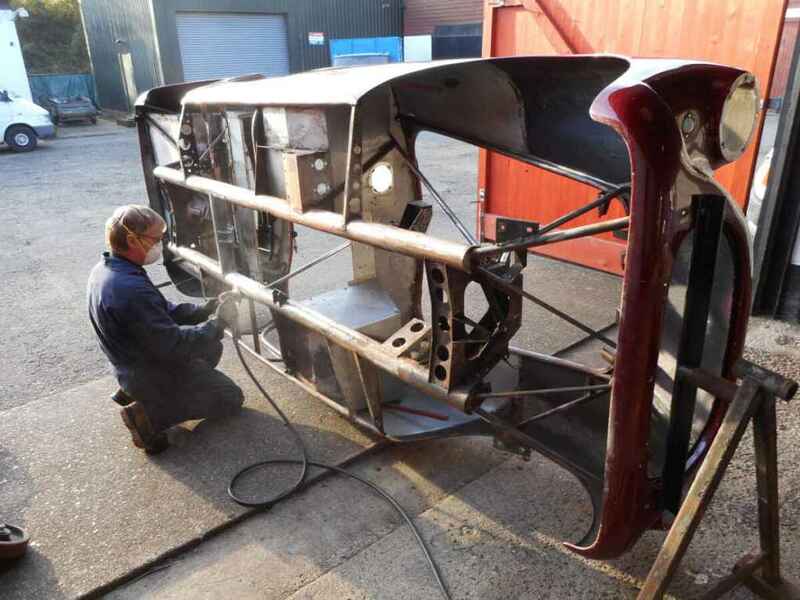 Rick was keen to have the car restored to an authentic period colour. 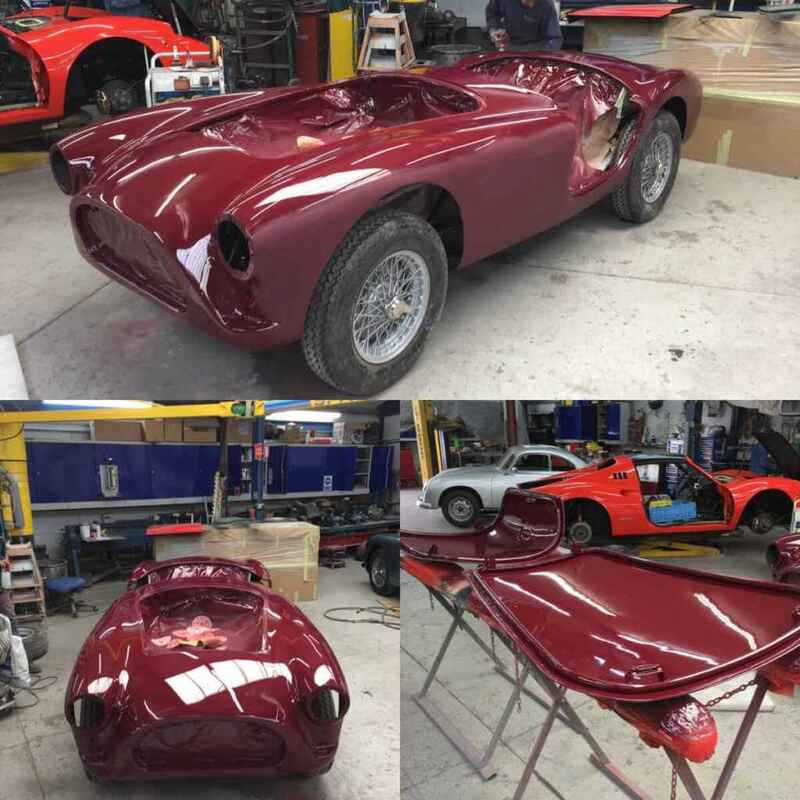 The car had spent most of its life in Rolls Royce Regal Red, so after completely stripping the car back to bare metal for remedial repairs the team decided to restore the car to Damask Red as it was the nearest authentic colour of that era still available. 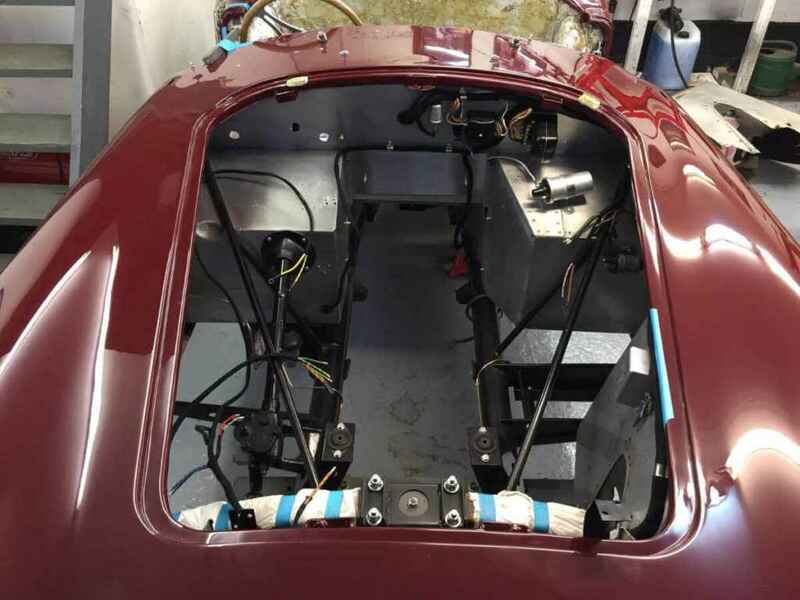 Whilst apart the team undertook a complete suspension and mechanical rebuild along with a full overhaul to the engine, gearbox, differential and steering. 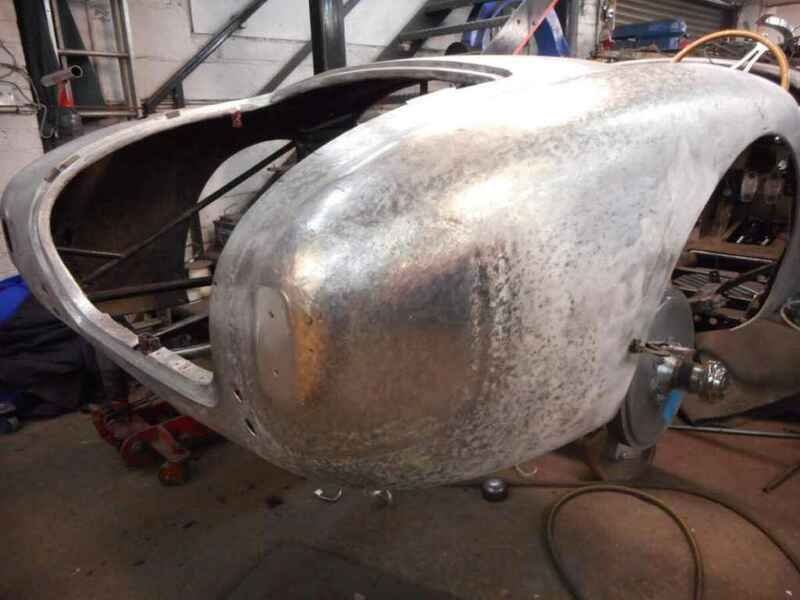 The Ace also had a new wiring loom and its exterior fittings chrome plated. 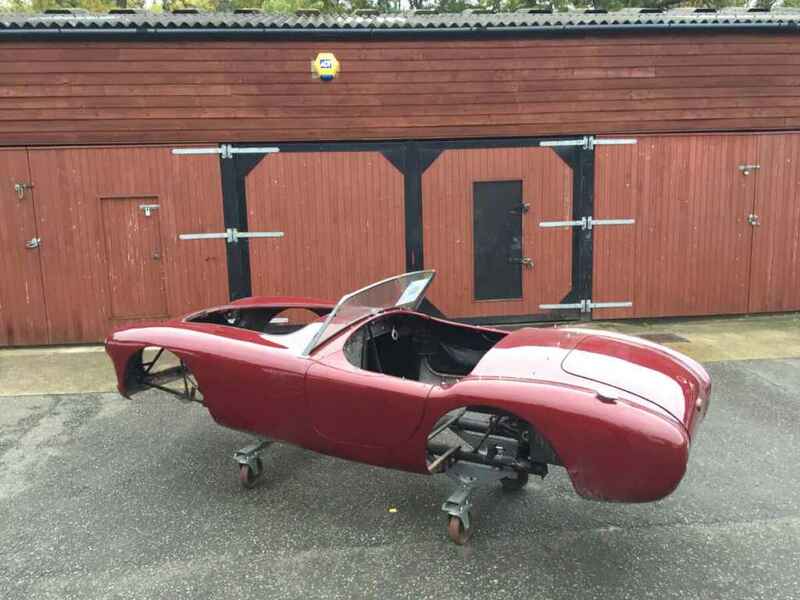 With a new body and finely tuned mechanics the finishing touches were added with a complete interior retrim with black leather seats and door trims, matching black carpets and restoration of the gauges back to their original condition. 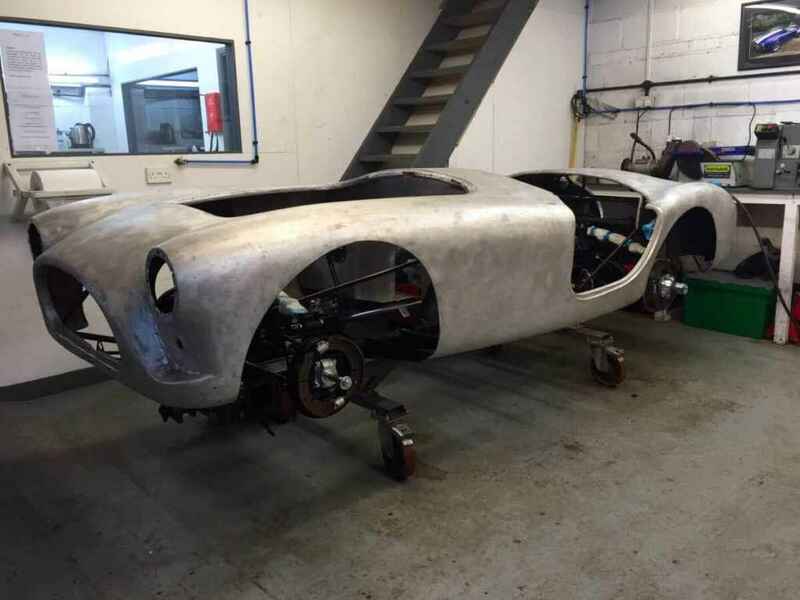 There was a key deadline to the restoration; to have the car ready for Rick to take to Le Mans Classic 2016. The team hit their deadline and Rick was over the moon that the car was ready for its maiden voyage to Le Mans. 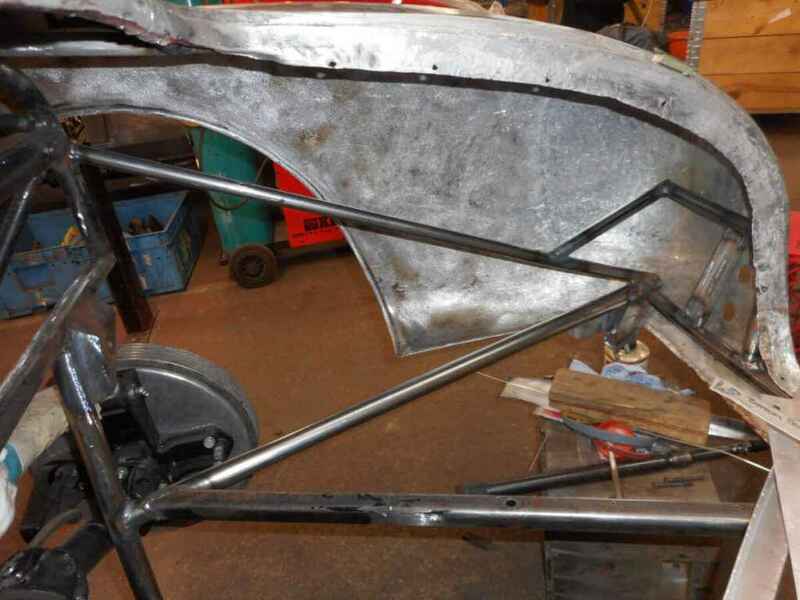 “Full credit to Neil and Peter at Redline for the work they put in. I couldn’t help but visit the workshop regularly to see how things were progressing and watching them in action, applying such skilled and authentic handcraftsmanship was such a pleasure. The trip was so special and the car was a real head turner.